Splenda chose Ketchum because of its influential dietitian network and food expertise - LaForce was the incumbent on the account. INDIANAPOLIS: Sweetener brand Splenda has brought on Ketchum as its PR AOR, following a competitive review. Ketchum is tasked with brand building, reputation management, and influencer relations work in the U.S., among other broad-based PR activities such as media relations and social media management. Splenda began its review process in May, sending out an RFI to eight agencies. That number was then whittled down to four, which participated in an RFP pitch process. Ketchum was officially selected at the end of July. "We have innovations and launches coming up in the near future for which they will play a big part in helping us build awareness," said Kim Holdsworth, VP of marketing at Splenda parent Heartland Food Products Group. 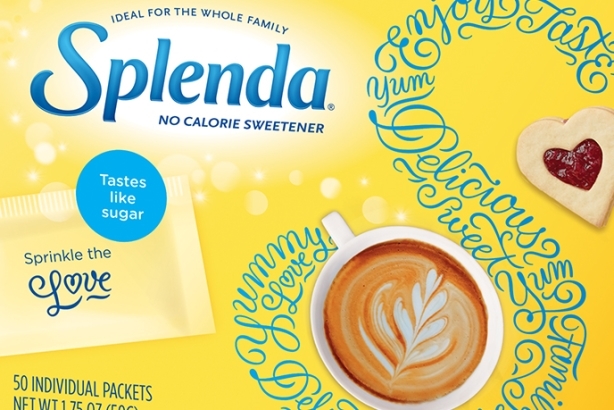 One of the first campaigns Ketchum is activating for Splenda is the launch of its new product Splenda Naturals, hitting store shelves next month. Holdsworth said there is a lot of "misinformation" circulating about artificial sweeteners. Earlier this year, an Italian institute linked Splenda, a sucralose-based sweetener, to leukemia. Heartland CEO Ted Gelov responded with an open letter debunking the study as "flawed." Additionally, Pepsi recently re-added controversial ingredient aspartame into some of its beverages, prompting an outcry from concerned consumers on social media. Less than a year ago, Pepsi replaced aspartame with a blend of sucralose in response to customer complaints about aspartame and unfounded fears the sweetener causes cancer. "Ketchum will be a great partner in helping us work within those conversations and ensure the truth is being told to our consumers and healthcare professionals about the benefits of all low-calorie sweeteners, especially Splenda," said Holdsworth. The Splenda work is led out of Ketchum's New York office, with Lauren Mundell, SVP and director of the firm’s New York food and wellness practice, leading the client relationship. A core team of five Ketchum staffers is working on the account, along with brand marketing and food issues experts, digital strategists, and registered dietitians. Mundell explained that Ketchum’s team of eight registered dieticians are "influencers in their own right, and they help [Ketchum] decode good science." Ketchum was selected due to its registered dietician network, the firm’s expertise in the food category, and its creative ideas, said Holdsworth. "We are thrilled to be an extension of the Splenda team from the marketing and science nutrition standpoint and excited to be part of the brand’s future, as we believe it has an important role to play in consumers’ lives," said Mundell. Incumbent LaForce’s three-year relationship with Splenda ended with the company’s transition to Ketchum. LaForce did not participate in the RFP process, said Holdsworth. Last year, Heartland Food Products Group acquired Splenda from McNeil Nutritionals, a subsidiary of Johnson & Johnson. Since being acquired, the company has been weighing opportunities for the brand, and decided a new PR AOR was essential to help take Splenda to the next level. "LaForce was a great partner to us for many years," Holdsworth said. "This was really just a change in times for the brand." LaForce + Stevens became LaForce in March. CEO James LaForce split with former partner Leslie Stevens and LaForce + Stevens was dissolved, according to media reports. LaForce's clients include Target, Banana Republic, LinkedIn, and Perry Ellis. Ketchum also will partner with fellow Omnicom-owned language strategy firm Maslansky + Partners to develop programming for Splenda. Earlier this month, Ketchum upped Kim Essex to director of its North American food and beverage practice. And just a few months ago, Ketchum set up a specialty group called Cultivate to serve the fast-growing healthy eating and sustainable-food-development categories. Cultivate operates under the firm’s global food and beverage practice.